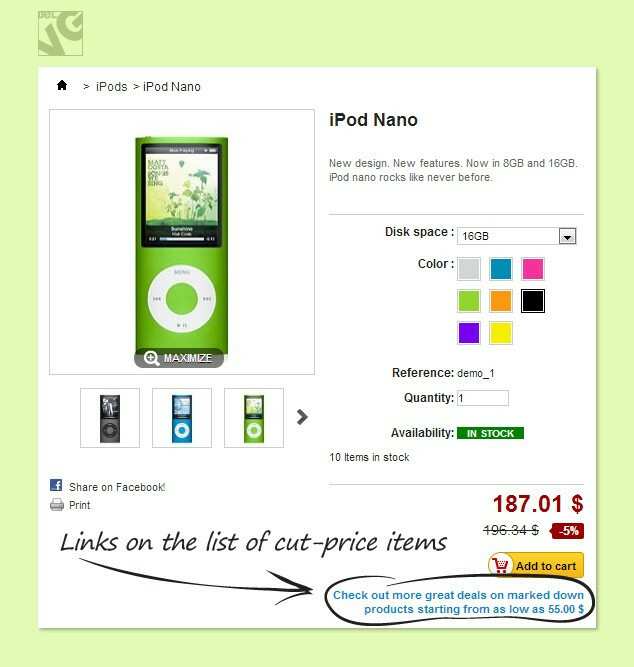 If you have faulty products with minor or major defects, Prestashop Cut-price Products is a perfect solution for you to put them into use! 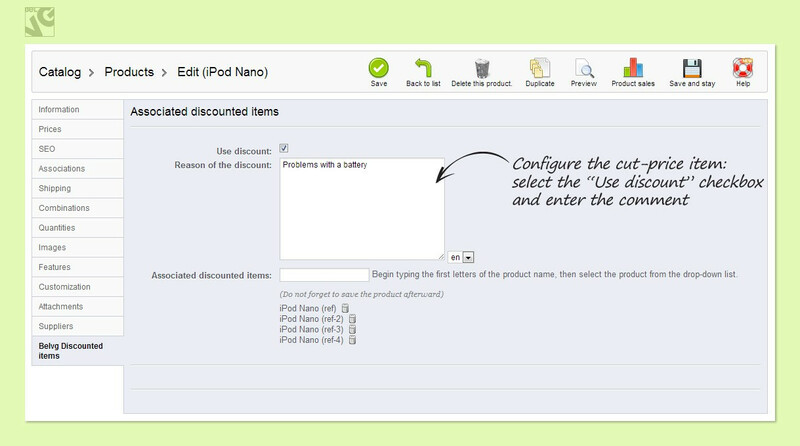 Such products will be displayed on the page of the product they are assigned to. 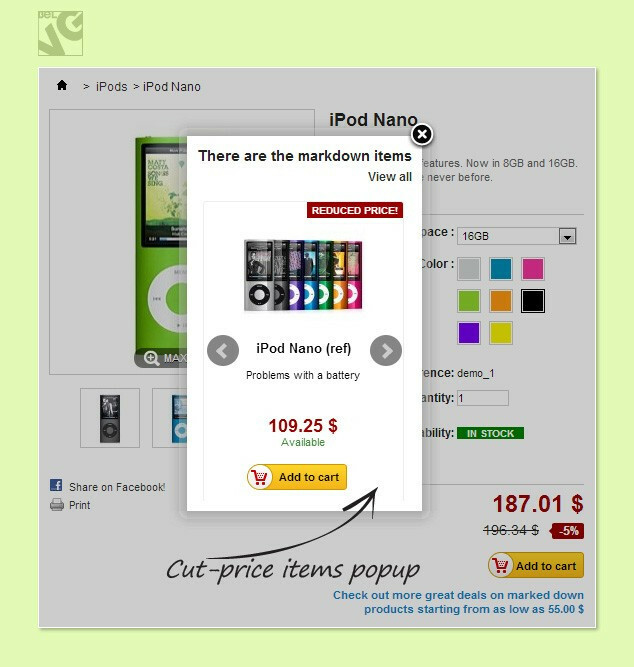 The user clicks the link and these cut-price products will appear in a popup window. 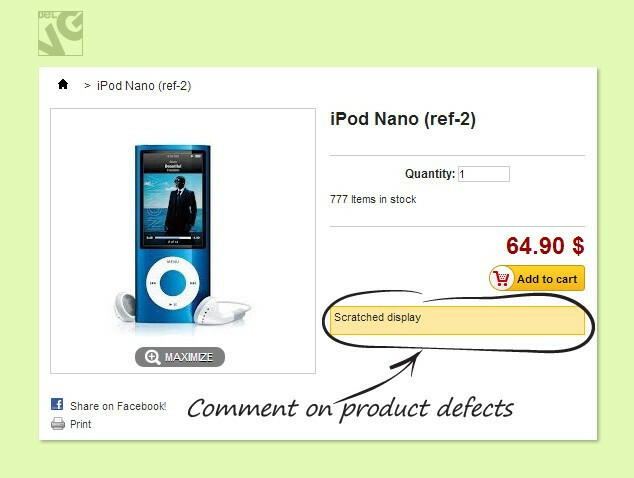 Admin can add comments about the defects. There are many reasons why goods become faulty. 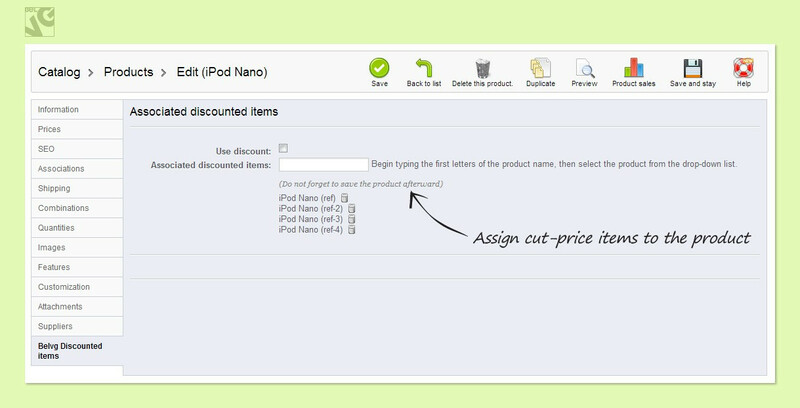 But you still can sell such products: enter information about the defects, set the discount and assign them to any other products in your store. 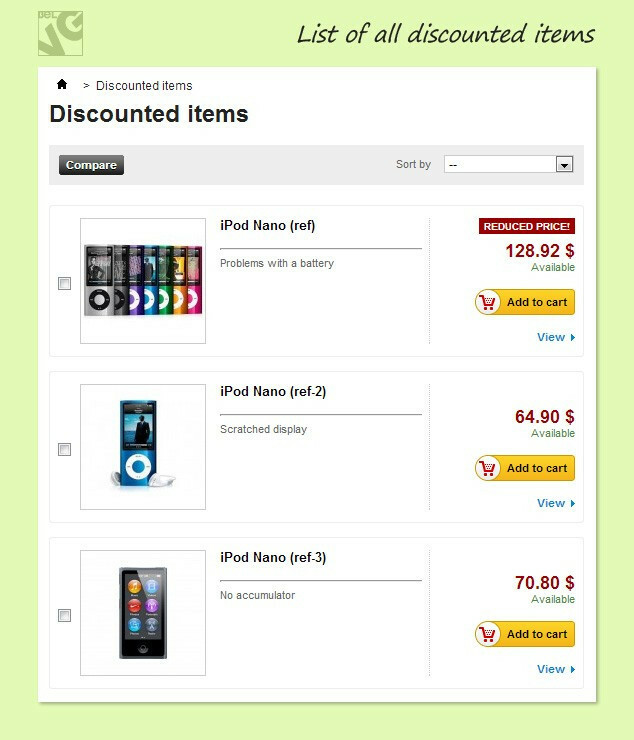 Discounted faulty products are displayed in a popup window.